June 12, 2017 By This post may contain affiliate links. 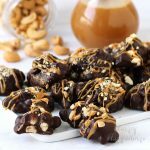 Making Chocolate Caramel Cashew Clusters at home is super easy and these handmade candies make perfect gifts or treats for any occasion. 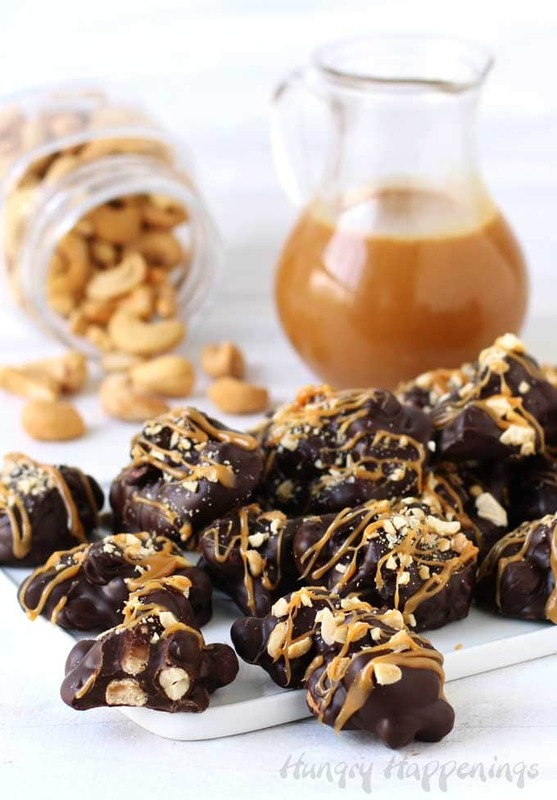 If you are looking for a really simple chocolate candy recipe that you can make at home, these Chocolate Caramel Cashew Clusters are perfect for you. Just a few simple ingredients is all you need to whip up a batch of these decadent chocolate treats which will be ready to enjoy in less than 30 minutes. 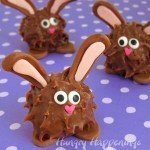 Chocolate clusters really couldn’t be much easier to make. You simply stir nuts, and in this case caramel bits, into chocolate and scoop out blobs onto a parchment paper lined baking sheet. If you are experienced with tempering chocolate or you want to practice your chocolate tempering skills, these clusters can be made with pure chocolate. 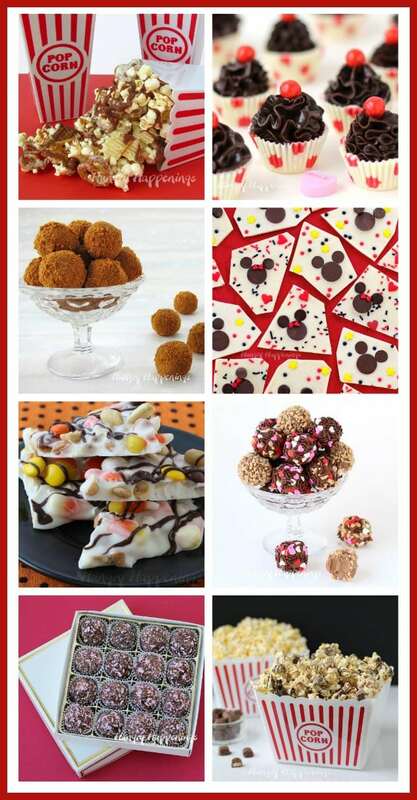 If not, then you can use confectionery coating (Candy Melts), instead. I used pure dark (semi-sweet) chocolate to make these clusters but you could use milk or white chocolate if you prefer. Just be sure to melt and temper the chocolate if using pure chocolate (chocolate with cocoa butter in the ingredients) otherwise your chocolate clusters won’t set up properly. If you use confectionery coating (Candy Melts or Almond Bark) all you have to do is melt the candy coating and it’s ready to go. 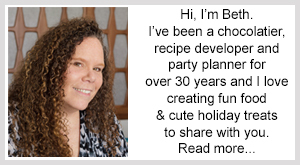 If you have no idea what I’m referring to here and need more information about choosing the right chocolate and about melting/tempering chocolate or confectionery coating, be sure to read my Chocolate Making Tips tutorial for more information. To make these chocolate clusters even more decadent and even more eye appealing I sprinkled on some chopped cashews and drizzled on some melted caramel. You certainly don’t have to do this, but I think it takes the clusters from boring to beautiful. Don’t you? Watch the video to see how quickly you can make 2 dozen chocolate cashew caramel clusters. 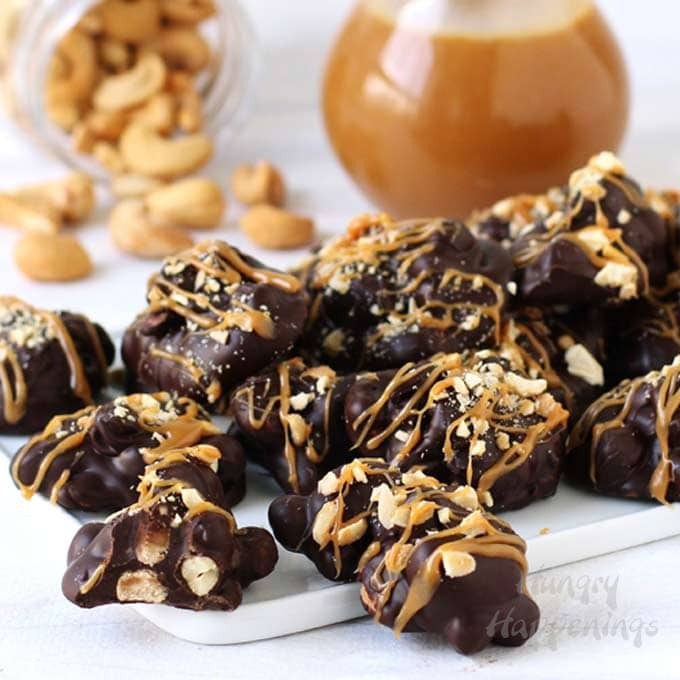 You can find the items needed to make these Chocolate Caramel Cashew Clusters on Amazon (commission earned for sales). Chocolate clusters filled with caramel bits and cashews topped with chopped cashews and a drizzle of caramel. Stir 2/3 cup caramel bits and cashews into the chocolate. Quickly scoop out 24 spoonfuls onto a parchment paper lined baking sheet. Immediately sprinkle on chopped cashews. 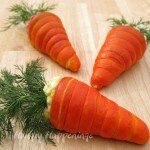 Remove and let sit at room temperature for at least 10 minutes. Combine the remaining 3 tablespoons of caramel bits with the heavy whipping cream. Heat on high in the microwave for 30 seconds. Drizzle over the chocolate clusters. Allow the caramel to dry before packaging. 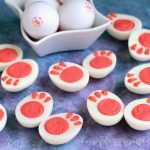 you might also like to make some of these candies. 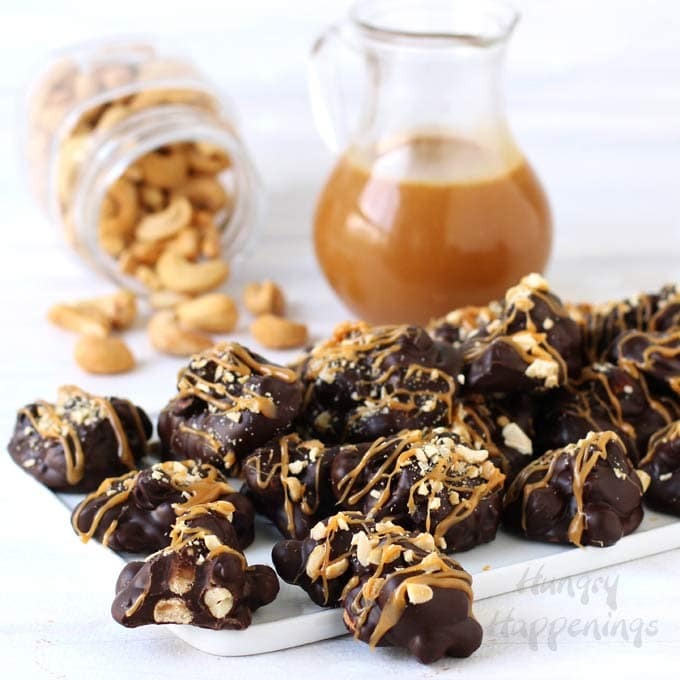 Enjoy making these Chocolate Caramel Cashew Clusters! 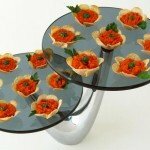 Oh my Beth, do these ever look amazing, they would not last too long around me! They are so good! I hope you give them a try! Please a Pinterest sharing button. Each image has a Pinterest button on it. Hover over the image and it will pop up in the right hand corner. Thanks for pinning!!! You had me at cashews and caramel!! Every time I think I’m going to try my hand at tempering chocolate, I cave. Maybe one day, but in the meantime, the melts will do. These look amazing! I’ve hand tempered on several occasions but I’m so fortunate to have machines to do it for me. It can be tricky, but once you learn the technique you will always be able to temper your chocolate. You are right, though, the melts are certainly quick and easy to work with. Hi Beth I reference your site so much it’s unbelievable. I thank you for all you do/post. Really helps everyone from the inexperienced to the experienced. 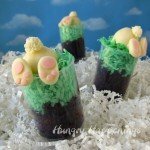 I would like to think I am pretty experienced but I have never attempted a candy like this. 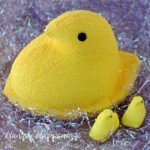 As for this recipe, would chopped nuts get “lost” compared to whole nuts? Or your opinion on a mix of pieces and whole nuts? I have a bunch of pecan pieces on hand, but am afraid they will be lost in the chocolate. Your advice would be greatly appreciated. Thank you. I am so happy to know you find my information helpful! You could definitely use pecan pieces in chocolate clusters. I’ve used cashew pieces before and it works fine. You could also mix whole and pieces together. That would work great too. Enjoy. Thank you for your advice. I am going to try making tonight. You have any idea what the shelf life would be for these if left at proper room temp? I would think they would last a while? Thank you for your advice. I am going to try these tonight. Any idea what the shelf life would be? Im assuming based on ingredients they would keep a while at a proper room temperature? You are welcome. The shelf life will be totally dependent on the freshness of your nuts. If they are really fresh then the chocolate nut clusters may stay fresh for up to 2 months. Store the candy at room temperature in an airtight container. Enjoy! Thank you so much Beth. I’m sorry for the multiple posts BTW. My internet was giving me trouble and I didn’t think they went through lol. I am so intrigued by your work. It inspires me to excel and expand my skills and products. I definitely need to buy your book! You are such an inspiration to me. Thank you again.